Looking for flexibility in your car stereo? Sony's CDX-GT620U CD receiver lets you play music from nearly any kind of portable audio player. 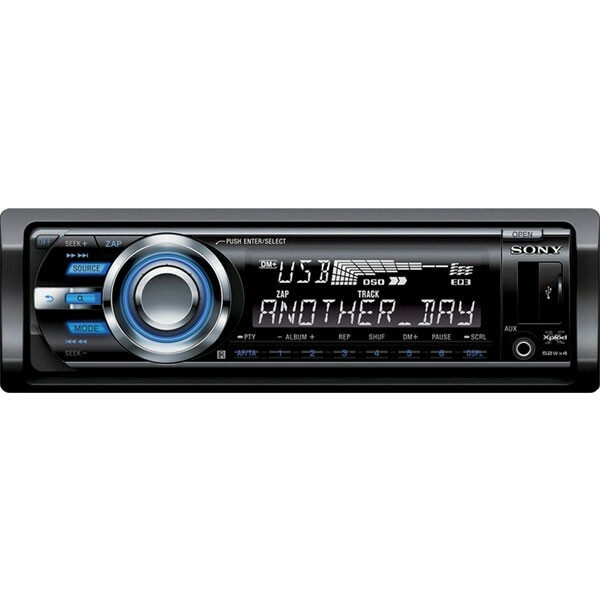 The Sony CDX-GT620U front panel features a USB input so you can connect, and in most cases control, a thumb drive, MP3 players, or other USB-capable device. Use the minijack auxiliary input on the faceplate for any non-USB gear you have, or to listen to the audio from your iPod. Add Sony's iPod adapter XA-110IP if you want to control an iPod with this stereo. For sound quality, not many car stereos can keep up with Sony's ultra-clean CD playback. Slide in a disc, and the Sony CDX-GT620U recreates the music with incredible clarity and range. Sony CDX-GT620U has a powerful internal amp brings the music to life, while sonic adjustments come from the 3-band equalizer and seven preset tone curves. spot on,this sony is great ,the sound is fantastic,i use it with a samsung p2 mp3 player and i have had no problems. 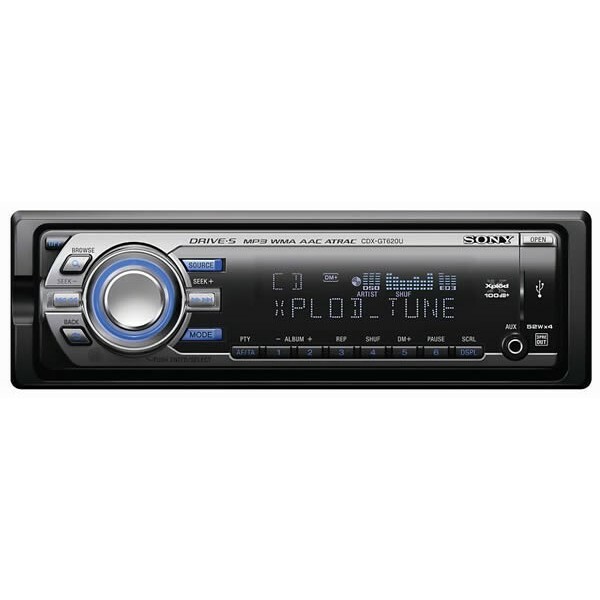 I was originally going to get a Pioneer 2020mp 4x50watt headunit but finally decided to go for this Sony Xplod primarily for the the usb port aswell as the aux in. Well,what can I say.. very easy to use,design and looks are amazing,and reads usb device quickly. The 4x52watt s-mosfet amplifier delivers good power and the stylish flip-down mechanism for cd-insert adds to the average ego-maniac's desire to truly show off his/her 'set o wheels'. And if thats not enough.. there's a remote too ;) A must-buy for this price-range. great.. At first I had a few problems with the sound and connection. But now its all sorted. Love it.